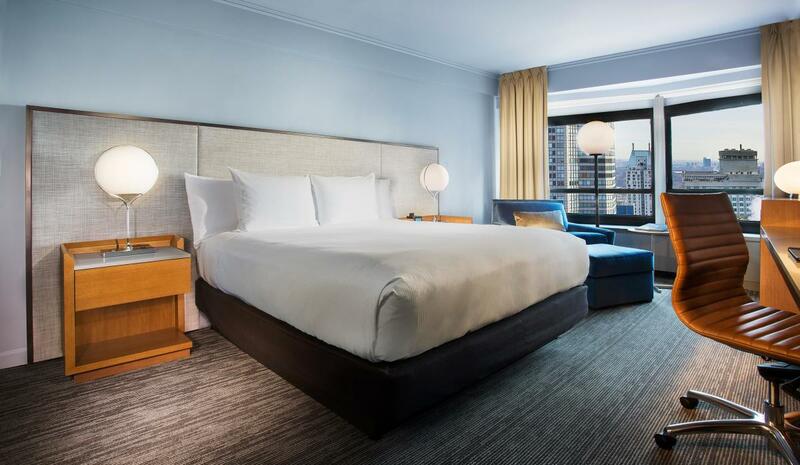 This 1,931-room sophisticated international hotel is located in the heart of Midtown Manhattan on Sixth Avenue between West 53rd and West 54th streets, within a short walking distance of Central Park, Rockefeller Center, Radio City Music Hall, the Museum of Modern Art and Carnegie Hall, and it is just a few blocks away from Times Square, Broadway theaters and the renowned Fifth Avenue shopping district. The hotel has recently been renovated with a contemporary look throughout the lobby, restaurant, bars and lounges, fitness center and spacious guestrooms and suites. Description Since 1963, New York Hilton Midtown has hosted has hosted dignitaries, corporate leaders and families from around the World. The 1,932-room New York Hilton is a sophisticated International hotel that appeals to both savvy business and leisure travelers. The hotel has recently been renovated with a contemporary look present throughout the lobby, restaurant, bars and lounges, fitness center and spacious guest rooms and suites. It’s the largest New York City meeting hotel with extensive facilities that can accommodate large conferences and conventions, smaller meetings and elegant banquets. Space Notes Featuring 151,000 square feet of meeting, banquet and exhibit space, New York Hilton Midtown has the largest self-contained hotel function space in Manhattan. 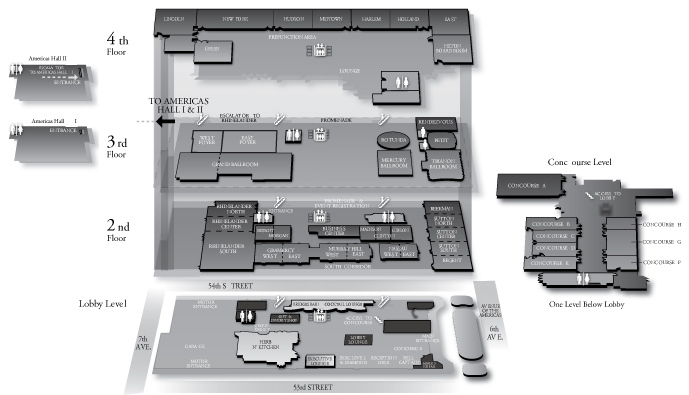 We also have the largest ballroom in Manhattan, with more than 24,700 square feet and a 3,300 guest capacity. 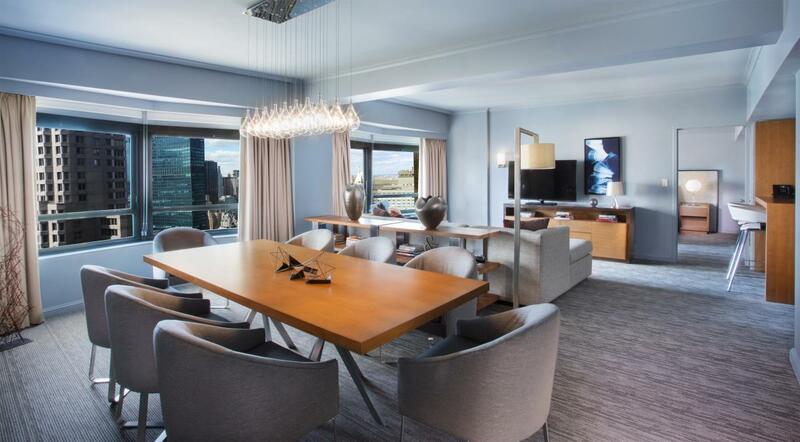 For smaller events, we provide more intimate options —including our elegant duplex penthouse. Regardless of the type or size of your event, our experienced event planning staff and catering service stand ready to ensure that it’s one each of your guest will always remember.